Zora Digital's Recap of the 2017 Google's Marketing Next Livestream - #GoogleMarketingNext. 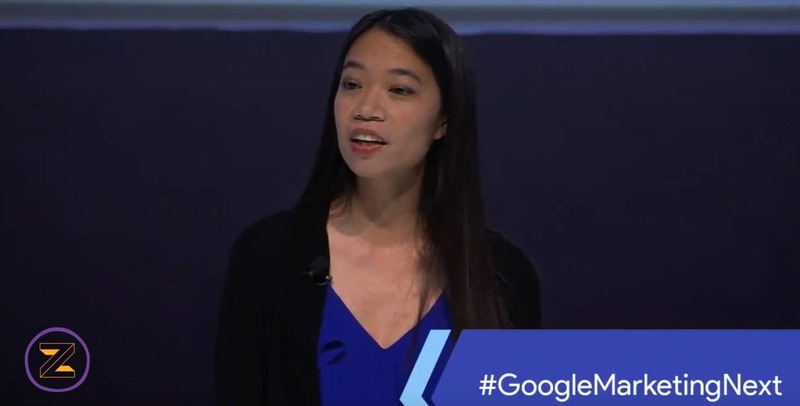 Here’s Zora Digital’s recap of Google’s Annual Marketing livestream event that aired today, May 23rd. Google announced many new and exciting tools using data and measurement to provide better ways to reach consumers. It’s incredible how many new and useful tools (13 in total) Google announced today. Here’s our summary so that you can be ready, your digital marketing jobs will be easier and so that you can help your clients & brands drive significant improvements in conversions. With data and machine learning, Google is delivering better intelligence to allow the creation of more relevant, frictionless experiences that are valuable to customers. Google’s machine learning capabilities will allow digital marketers to stay 1-step ahead of customer needs based on their location, context, and identity. 1.) AMP pages from Search ads beta. Accelerated Mobile Pages that are linked to from Search Ads will load almost instantaneously. You can sign-up for the new AdWords beta that lets you use fast-loading AMP pages as the landing pages for your search ads on Google’s Inside Ads Words blog. 2.) AMP Ads on Google Display Network. Starting today, May, 23, a large portion of display ads across the Google Display network will be automatically converted to the AMP format. This will speed up display ad loading time on average by 5 seconds. These ads will load almost as fast as the other content on the page. (making it much more likely that the ads are seen and engaged with). 3.) Location extensions and store visit measurement for YouTube Trueview Video Campaigns. Coming soon you’ll be able to add local information about store hours, directions and more next to video ads. As Digital Marketers, you will be able to bridge the gap and measure impact of video ads on store visits foot traffic with new measurement capabilities. Later this year Google will debut two new tools to help the accuracy of the measurement of in-store sales that can be tied to online ads. The first new tool will allow you to import transaction data to AdWords and see transaction data at the device and campaign level for Search and Shopping campaigns. The second tool takes advantage of Google’s third-party partnerships with credit card and debit card vendors in the US to get store sales data. The best part is no implementation is needed. The transaction data will automatically be matched back to Google Ads. Google is providing better audiences, new audiences and better reach with audiences. Better Audiences: Using machine learning Google is delivering better capabilities for targeting audiences across channels and devices. Essentially, it allows you as digital marketers to stay on the journey with your customers across Google from Search to YouTube to the Display Network. New Audiences: Google recently introduced two new audiences – Consumer Patterns and Life Events. These audiences are based on machine learning and intent-rich signals which tell where people shop and when they are undergoing big life milestones like graduating, moving and getting married. Later this year these two new audiences will be available for Gmail Ads. Better Reach: Now In-market audiences will be available for search ads to reach more users who are likely to purchase. Google says based on the beta advertisers who have used In-market audiences for search ads have seen a +10% increase in conversion rates. The new Google Attribution lets you understand if your marketing is working at each of the consumer touch points – across multiple channels and devices. Google Attribution lets you get a single view of the path of purchase. It unifies data with existing attribution features between Google Analytics, Google Adwords & DoubleClick – at no additional cost to you — it’s free. Google Attribution uses machine learning to create a new model called “Data-driven model” to better attribute the impact of each channel on a conversion. New Google Attribution also allows you the link the “Data-driven model” to Google AdWords which allows for better results and better information for optimized bidding. Unique Reach is available in Google AdWords today and will be soon available within DoubleClick. With Unique Reach you marketers can measure how many people were shown display and video ads with two new metrics – unique users and average impressions per unique user. The metrics are deduped across devices, campaigns, and formats. This upgraded platform will make it easier to help marketers work smarter with a new design and layout that makes it easier to use Google Adwords and also provides recommendations based on machine learning. This new experience is slowly being rolled out and will be available to all advertisers by this December. Within AdWords Experience, there is a new report which will allow you to see how various versions of landing pages are performing. With the new functionality, DoubleClick Planning uses machine learning to analyze past campaigns and to recommend the right inventory, audiences, and budget based on the advertisers’ goals to create an optimized media plan quickly. Available today, this new integration will allow you to create and survey people that saw your ads. Now surveys can be targeted to remarketing audiences. Marketers can get actionable insights into the whys behind their campaign performance by surveying the audiences that saw the campaigns/ads. Google Assistant is described by Google as a conversation with Google to get things done – whether it be news, recipes, calendar or data and the internet of things. It is the easiest way to accomplish tasks. It’s available within Google Home devices, Android and iPhone amongst others. One feature is inventory data that will allow Google Assistant to give information about where customers can find items they want to buy at a store nearby. Google Assistant uses machine learning and conversational technology to let people have conversations with Google — it goes beyond the query and the click. As marketers, Google Assistant is a way to talk to customers at scale and interact with customers through natural language.